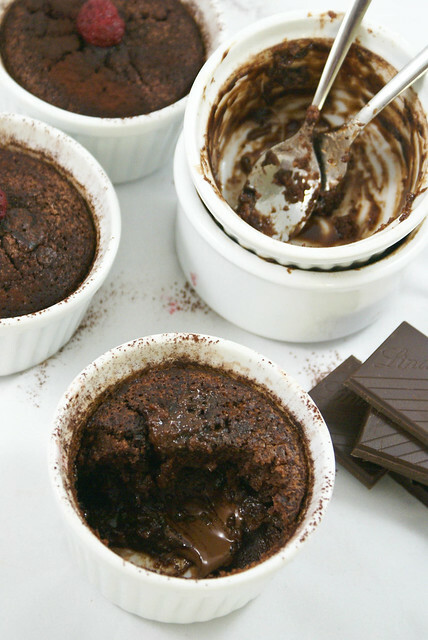 Today’s recipe is a delightful self-saucing chocolate pudding with a kick of coffee flavor. This is warm and rich and goes very well with vanilla ice cream or vanilla custard or even just whipped cream. The sauce slowly creeps to the bottom during cooking, and after done you will find a lovely fudge like sauce over the soft sponge top. Grease 4 or 6 ramekins with butter and keep aside. 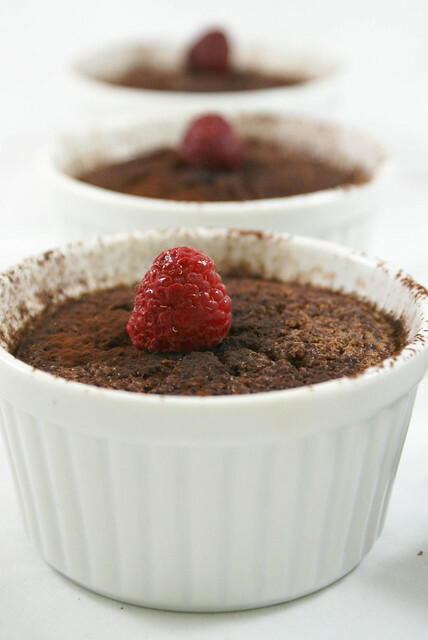 Sift cacao powder, flour and baking powder into a bowl. Add sugar and whisk to mix well. Now add milk, butter and eggs and vanilla and whisk together to get a smooth batter. Divide the batter into the greased ramekins evenly. Do not overfill, add the batter 3/4th full or just above half. Combine the sauce ingredients, until sugar and coffee has dissolved. Gently pour this on the batter, diving evenly between cups. Best way is to pour the sauce mixture over the back of the spoon, so that the batter is not disturbed. Bake for 20 to 25 mins till a good crust has formed. Do not over bake as you want a gooey fudge like sauce inside. Serve with fresh fruit and icecream or whipped cream. Pudding looks mouthwatering and delicous. Mmmm that looks so mouthwatering and I absolutely love the choco-coffee combination. Yummm!!!! Chocolate, coffee and a sauce too! We’re sold. Thanks for the recipe, will be sure to try it. 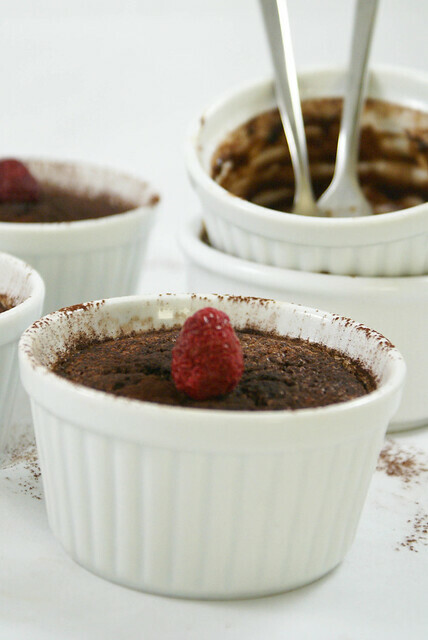 This reminds me of Nigella Lawson’s Choco Hotopots! And seriously, anything with the words “self saucing” in it is perfectly fine by me!